O.K. all you Ford collectors...here it is...THE REAL DEAL. This is an honest to goodness, real, numbers matching, factory original G code 1962 Galaxie with the FE big block 406 and 3 x 2 carburetion. It produces 405 horsepower, and is mated to the iconic Ford 9" rear axle with 4.11 gears. Transferring all that power is a Borg-Warner T-10 4 speed transmission. All of that rides on the factory correct Firestone 7.10 x 15 bias ply tires. 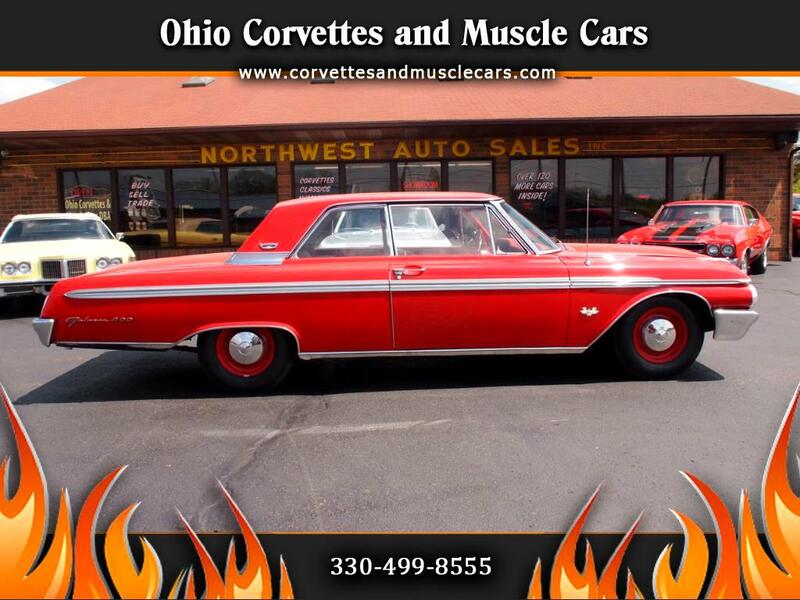 This car has been completely restored, and is in excellent condition both mechanically and cosmetically. It appears the the bumpers have been re-chromed, and the emblems and stainless are in excellent shape...there are no signs of age...no dents. The interior has only 2 signs of wear...one on the driver's seat where the silver seat trim has let lose, and the same thing on the door trim. The second is the rear package tray has a couple breaks in the cardboard. The rest of the interior, including carpet and headliner are as new. This car has been driven and enjoyed, but the underside is still well detailed...it would not take much to get it into show condition if that's the way you wanted to go. This is a great piece of Ford motor history. It would not take much to bring this car to concours condition. Call us to schedule your walkaround.